Tagetik Middle East appoints the fastest growing System Integration Company in the region as Preferred Reseller for Tagetik 4 covering Budgeting, Planning, Forecasting, Consolidation and Collaborative Disclosure Management. UAE. July 10, 2014 – Tagetik Middle East, the exclusive distributor of Tagetik, a global provider of enterprise software solutions for performance management, disclosure management, financial governance and business intelligence, today announced that it has appointed Finesse (www.finessedirect.com) as its Preferred Reseller. The Tagetik software will be marketed and sold by Finesse in the Middle East region. Tagetik is the world’s fastest growing Corporate Performance Management System, which is also positioned in the visionaries quadrant of ‘Gartner Magic Quadrant for CPM Suites 2014’. With more than 600 satisfied CPM customers worldwide, Finesse is excited to introduce Tagetik into the region. 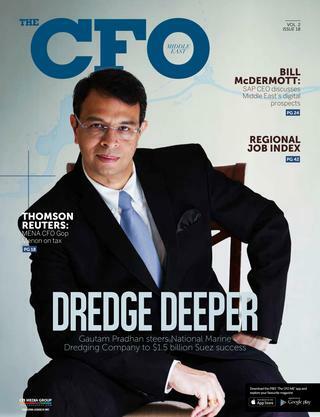 Tagetik can bring in immediate value & deeper insights for the CFO’s and CXO’s of our clients, said Sunil Paul, Co-Founder & Chief Operating Officer of Finesse. Tagetik is one of the fastest growing global software companies in the Performance Management industry, with operations in more than 30 countries and over 600 customers worldwide. Tagetik delivers enterprise solutions while providing a ‘boutique’ experience, resulting in the highest level of client satisfaction in the industry. With deployment options in the cloud or on-premises, Tagetik 4 provides robust functionality for budgeting, planning, forecasting, consolidation, close, reporting, profitability analysis, disclosure management, financial governance, and business intelligence – all from a single, unified platform. By moving to a unified financial solution, Tagetik customers have dramatically increased organizational efficiencies, reduced risk, saved money and improved their companies’ bottom lines. Finesse, a ‘Red Herring Global Top 100 System Integration company’ & ‘Winner of Integrator ICT Champion Software Solutions Integrator – 2014’ provides Technology Solutions and services to Banking, Education, Energy, Healthcare, Hospitality and Retail segments.